Home/payday loan consolidation/What is Payday Loan Assistance & How Can It Benefit You? 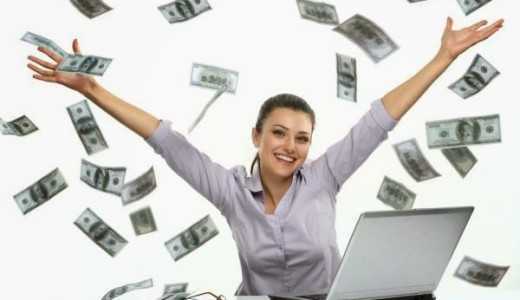 Payday Loan Assistance has helped many people find their way out of extreme debt. If you, or someone you know, have seen the effects of payday loans and how they can snowball into a big financial mess we are sure you have considered debt relief of some sort. First, let’s get an understanding of how the payday loan industry works and how Payday Loan Assistance can help free you from the shackles of debt. You have seen the ads and the commercials all claiming to lend you money to cover your expenses when cash has fallen short of obligations. Other terms for these types of loans are cash advance loans, check advance loans, and post-dated check loans, and deferred deposit loans. No matter what you call them they are short term loans with an extremely high interest rate. HOW DO PAYDAY LOAN ASSISTANCE PROGRAMS WORK? The lender requests the borrower to sign a contract along with writing a personal check covering the amount the borrower has taken the advance plus the fee for borrowing said amount. The fees on the loans are usually a percentage of the total of the check. Payday loans are the same as any other credit lines when it comes to the laws covered by the Truth in Lending Act where the borrower must disclose the amount of the loan, the APR in dollar amount and your finance charges. Even though borrowers see these bottom lines their desperation to cover life expenses gives them no choice but to skip the small print. This is where most borrowers go wrong in taking these payday loan advancements. As time goes on and the borrower doesn’t have the means to cover every extension and before they know it they are thousands of dollars in debt and feeling hopeless that they have nowhere to turn. This is where Payday Loan Advancement steps in to save the day. WHAT IS APR AND HOW DOES IT AFFECT MY PAYDAY LOAN? Let’s say you borrowed $100 at a Payday Advancement company. You would write the check for $115 to cover the $115 fee and the borrowed amount. More times than not the borrower doesn’t have the money by the date it is due. This leads to the loan being extended and the borrower is charged yet another fee. In approximately 2 weeks the borrower has taken a loan at 391% APR. These numbers are just an example of how easy it is to lose control of what you once thought you had. WHAT ARE SOME STEPS I CAN TAKE TO START THE PROCESS? It is important to know your state laws and how they protect you, the consumer, from excessive interest rate amounts. This term is called Usury. Counselors for these assistance programs know the ins and outs of all state laws and how they pertain to each individual customer. You are not alone, there are many like you, who have found themselves in situations where the only option, at the time, are Payday loans. It is said that the risk to the lender is so high the high APRs are justified. A recent study by the Securities and Exchange Commission, also known as the SEC, states otherwise. It has been shown that loans of this type are at no more long-term risk to the lender as other forms of credit. This is something lenders will never share. So why do most borrowers believe this lie? It is known that Payday Loan companies use sleazy, aggressive tactics to receive their collections. In an already stressful time the borrower, by not being able to not only pay their bills but also the added debt they recently borrowed, may face threats of being arrested, having their wages garnished, and legal prosecution. The Fair Debt Collection Practices Act was put in place to protect the consumer from aggravated debt collection but more times than not these companies do not mind these laws. They can go as far as calling employers, neighbors, and relatives. This harassment can go on for a decade if the payday collection companies continue to sell your debt to other collection agencies. The embarrassment is enough to search for a solution. When the borrower signs a contract with the Payday Loan Assistance counselor all communication between the borrower and the lender ceases. There will be no more calls throughout the day, aggressive emails, or even threats to garnish wages. Doesn’t that sound grand? This alone should make you pick up the phone and call a reputable Payday Loan Assistance company immediately. Just as easy as you may have been roped into using Payday Loan Advancements, we assure you there are many businesses that claim they can help you out of your financial worries. One must be smart when choosing the right counselor to assist in this process. Be sure to research the company online and read reviews of many companies to see which companies rank higher than others. Make sure the company has a valid physical address. Be sure to find out about the company has a fee structure that fits your budget. Before contacting any companies make sure you are aware of many laws on payday loan assistance for your state in which you reside. Interviewing the counselor on said laws can help you decide if the company is reputable and worthy of your business. You may have fallen victim to the Payday Loan industry but you do not have to fall victim to receiving the assistance you need.